Retirement planning is a process, not an event. There are so many things that change in our lives throughout the years that our plans, both personal and financial, need to be revised and updated from time to time. As it is in life, the only thing constant in retirement planning is change. 1. Failing to take advantage of company matching: A research report by Financial Engines states: “The typical employee who fails to receive the full match leaves $1,336 of potential free money on the table each year.” Not only is that money “free,” it is tax deferred meaning you don’t pay any tax on it in the year received and while it’s invested. In addition, think of what that amount adds up to year after year. Assuming a 5% annual growth rate, in 15 years that’s $28,882. In 30 years that’s $88,762! The moral of the story here is that if you’re not contributing enough to receive 100% of your employer’s match, you’re are saying “no thanks” to thousands and thousands of dollars that otherwise should be in your retirement nest egg. Not all company retirement plans are the same, but many times an employee contributing at least 5% of their salary will be eligible for 100% of a company’s matching funds. 2. Not investing in a Roth IRA: A Roth IRA is a powerful retirement account allowing your funds to grow tax deferred and providing tax free withdrawals after age 59 1/2. There are other important aspects to consider with regard to Roth IRAs, however, we won’t go into them here. 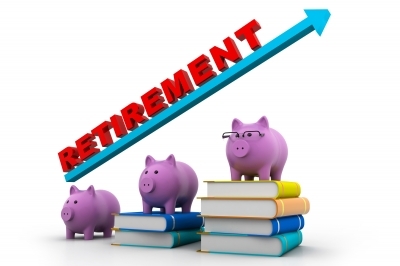 What is important is that Roth IRAs become part of your retirement plan. Nearly all retirement plan monies will be taxed as ordinary income when you spend the funds in retirement, with the exception of Roth IRAs. You can make Roth IRA contributions so long as your income is within the IRS limits. Additionally, you can make contributions while you contribute to your company 401(k), if you have one. Many people don’t take advantage of contributing to a Roth IRA. When they finally get around to it, two bad things can occur. First, if your income is above the IRS limit, you are restricted from making a contribution. Second, if you do still qualify based on income, you’ve missed out on several years of compounding growth. 3. Investing or saving the same dollar amount each year: There is something to be said for the retirement planning expression “set it and forget it.” The meaning is to start your contributions, pick a good low cost mutual fund or ETF and watch it grow over the long term. Unfortunately, too many people forget it to the point that it almost ignored completely. Incomes tend to rise over time but so do our expenses. When we get a raise or we have a good year with bonuses, commissions, etc. we tend to either buy more things or do things that increase our expenses. I’m not suggesting this is entirely bad, but usually, our retirement accounts receive the least attention. If you get a raise, give your retirement accounts a raise too! Even if you don’t get a raise, while it may be difficult, make annual increases in the amount you’re saving. Remember, nothing worthwhile is easy! 4. Focusing too much on returns: This may sound strange from an investment advisor, but focusing too much on returns will likely distract you from what’s really important. If you’re a long term investor and investing in stocks, stock mutual funds, or stock ETFs, returns should vary significantly over given periods of time. If your investment drops by 15% in year 5 of a 20 year plan, that alone isn’t a sign that your investment is bad or that something is wrong. In fact, it is perfectly normal for stocks and stock funds to drop by 10% at any given time. Further, if you’re constantly making changes in your investments because Fund A beat Fund B by 2% over the past year, you will likely discover that a year after you made the change, Fund B will beat Fund A. Rather than chasing the latest returns or getting freaked out by a correction or a bear market, focus on the things you can control like keeping contributions consistent and increasing them over time. 5. Being married to a stock: I encounter too many people willing to hitch themselves to a single stock wagon. By this, I mean putting too much faith in one company. Some investors can become emotionally attached. Maybe it was a company their spouse or family member worked for and getting out of the stock means saying goodbye to the memories associated with it. While I understand the emotional aspect, it can put someone at risk in case something goes wrong with that stock or company. Even if it’s a company that’s been around for a hundred years, there is too much risk being invested in only one company. Just like bad things happening to good people, bad things can happen to the stock of good companies. This is an example of keeping all your eggs in one basket. Spreading things out can reduce some risk and create a well diversified investment portfolio. If you can avoid these mistakes, or correct them, you will be on your way to a successful retirement planning journey. And remember, small changes now can have a huge impact down the road.